A weather damaged insurance claim covered this James Hardie home remodel in Cedar Grove NJ. This amazing hilltop home with 180 views of NYC features James Hardie Siding and a robust trim package with new, Marvin Windows and a fresh Azek deck. Imagine what our design and installation experts can do for you! After years of undetected water damage reeked havoc on this beautiful Cedar Grove home the owners decided it was time to take control of the situation and prevent any future issues. Living on the side of the mountain has it's advantages, mainly a stately view of NYC but it also tests your home against the elements. 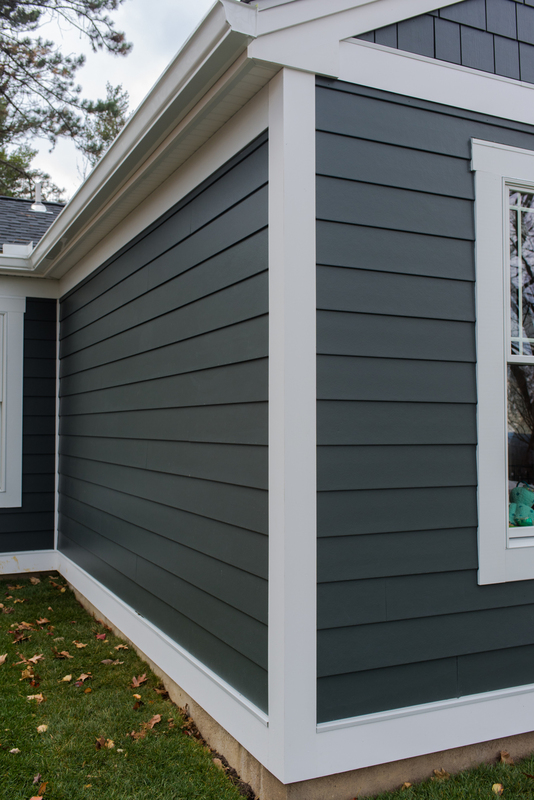 After thorough personal research the home owners learned of the numerous advantages James Hardie offers to your home. Upon contacting the manufacture they were referred to Above & Beyond for a design + installation consultation and estimate. Together we choose the color, styles, trim and discussed in detail how the process would go and what precautions would be taken to ensure a fortified homestead. Using advanced design applications we provided the numerous renderings allowing our customer to see what they were selecting before we ever installed a single panel.